With years of service and experience, Scranton Dumpster Rental has been providing affordable dumpster and garbage container rentals to Scranton and all of Lackawanna county. 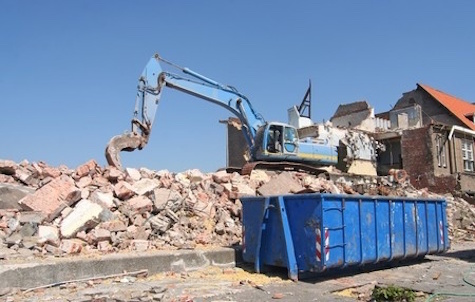 Whether you are a professional construction company or a homeowner in Northeastern Pennsylvania looking for residential sized dumpsters or garbage containers, let Scranton Dumpster Rental be your waste removal answer. 10 cubic yard, 15 cubic yard, 20 cubic yard, 30 cubic yard and 40 cubic yard garbage containers. Do you need a dumpster rental now? We have the best trash containers for rent! Why Choose Scranton Dumpster Rental? Scranton Dumpster Rental is locally owned and operated and the premiere dumpster rental service in Northeastern Pennsylvania. We take pride in our dumpster and trash removal services and offer our clients affordable dumpster rental services. Our garbage containers are professional grade and designed for maximum capacity and will not leak. Scranton Dumpster Rental is second to none in punctuality and will always show up on site, on time, without question. 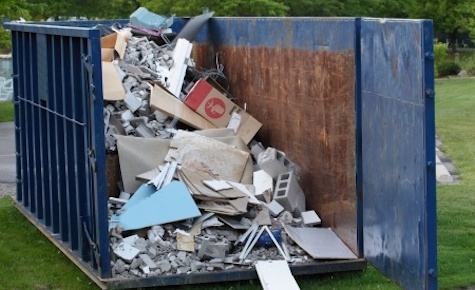 We are quick with any advice you would need regarding your current waste or removal needs. Choose us for your waste management solution! We understand that local homeowners have limited space for drop off. With that in mind, we know also that professional contractors need to bring in the "heavy artillery" That is why we have many dumpster roll-off sizing options. When it comes down to choosing which size is right for you, give us a call and we can discuss which sizing option fits your situation. Let us be your answer for debris container on a budget, we off cheap dumpsters for rent! searching for a professional dumpster rental company could be daunting. Do not be fooled by the intimidators! Our friendly, knowledgable garbage container providers are happy to assist you in any removal project, large or small. We are respectful of your property and carefully plan out drop-off and pick ups, did we mention there are no hidden fees and no additional costs for pick up?